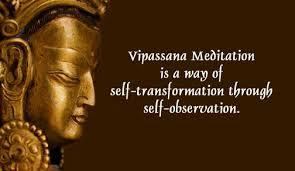 Who attends Vipassana Course and Why? When I wanted to register for 10-day Vipassana course, I was wondering what kinds of people attend this course. During the first 9 days, we weren’t allowed to speak to anyone so I didn’t get a chance to know the background of by batch mates. On the 10th day after culmination of noble silence, I spoke to a few people in the batch. I was astonished at the diversity of people and their motivation for doing this course. To maintain confidentiality, I will not mention their names in this article. I want the readers to understand and admire the motivation of these participants. An IT evangelist with 25 years of stellar track record and patents, currently on the board of a few IT companies in Bangalore. He is also pursuing PhD in Organizational Behavior. His American friend visited him in Bangalore last month and he inspired him to attend this course to undergo serious self-inquiry. There were many more like this, NGO workers, retired bank employees, teachers, business owners, working professionals etc. Why did I attend the course? I know this question is lingering in your mind and let me help you with my answers. When I heard about this course, the 10-day noble silence and other rules impressed me and created a desire in me to experience the silence for 10 days. I thought this course also helps me become a better listener and do a better job in my coaching practice. Honestly I am reaping more benefits than I anticipated to harvest. I plan to write another article after 21 days to share my experiences (I want the changes to sustain and become second nature before writing that article). When people contemplate on attending Vipassana, one becomes inquisitive to know what kinds of people attend this program and what do they seek in this program. I hope this article helps them understand and appreciate the diversity of their fellow travelers in the path of self-discovery. Vipassana (pronounced Vipashana , is a Pali word) means ‘seeing things as they really are’ not ‘as you would like them to be’. To keep this article short, I will give a couple of links for you to read and understand the history and course schedule. Code of Discipline during the course : (Basically you live like a monk for 10 days). There were 70 people in our batch (46 men and 24 women). We reported at the venue on 6th Aug 2PM and deposited all our valuables at the centre. Mobile phones were switched off by 5PM. The noble silence began at 7PM on day zero. We all took a vow to follow noble silence for 9 days. Noble silence means no communication with anyone – no talking, no gestures, no eye contact, no sign language and no physical contact with others. Each day we would get up at 4AM, meditate 10.5 hours every day and 7 hours sleep J very strict and rigorous schedule. S N Goenka’s video discourse was played each night from 7PM to 8.30PM. These are amazing talks where he explains the science of mind and matter, history of the technique and Budha’s wisdom and many other relevant details. These videos are true gems of wisdom! They are also available on YouTube. On days 1, 2 and 3 we practiced Ana Pana (means breathing in and out in Pali language) meditation technique to become aware of our breathing pattern. I felt a like security guard standing at the door of my nostrils watching every incoming and outgoing breath for 3 full days , 10.5 hours each dayJ. Initially, I was able to focus on my breath for just 2 minutes and suddenly an army of thoughts would hijack my attention and take me to either past movies or future fantasies of my life. It was so frustrating to feel like a slave of my own mind. By 3rd day, the army of thoughts curtailed to few soldiers and I was getting less distracted and more focused on my breath. I felt like a winner on 3rd day! On 4th day we were taught the Vipassana meditation technique, paying attention to our body sensations and develop equanimity of mind regardless of the type of sensations. The real fun begins on day 4 onwards; we need to be patient and persistent to get there. Day 5 to Day 9 was totally focused on mastering the Vipassana meditation technique with two simple goals – awareness of breath / body sensations and equanimity of the mind. I made good progress in these 5 days and got a handle on the technique. The noble silence ended on Day 10 morning (16th Aug) 10AM. Participants were allowed to talk to each other and make telephone calls. A new meditation technique Metta Bhavana (Sharing Compassion and Love) was also taught on that day. The course was formally ended on 11th day morning (17th August) at 6.30AM and I reached home by 8.30AM J . 2) In all our waking moments, we were asked to be mindful of our breath and body sensations all the time. Essentially the course teaches you to be equanimous at all times with the real understanding of the law of impermanence. I can write several more pages; since I want people to read this – I will stop now. I promise to write additional short articles on several other aspects of learning during those 10 days.